The sterling silver Eye of Horus Pendant represents the Ancient Egyptian symbol of protection and power. The legendary Egyptian God of the Sky, Horus, had two different eyes - one was the Sun, the other, the Moon. During a conflict, he lost one of the eyes - the Moon. On the nights of new Moon, he would be blind, and considered dangerous as he might hurt someone. Horus was amongst one of the most complex of the Egyptian Gods, with many different aspects and forms. As Horus the Elder, he was the brother of Osiris and Seth; as Horus the Younger he was the brother of Osiris and Iris, and the enemy of Seth; as Horus of the Two Horizons, he was the supreme Sky God. 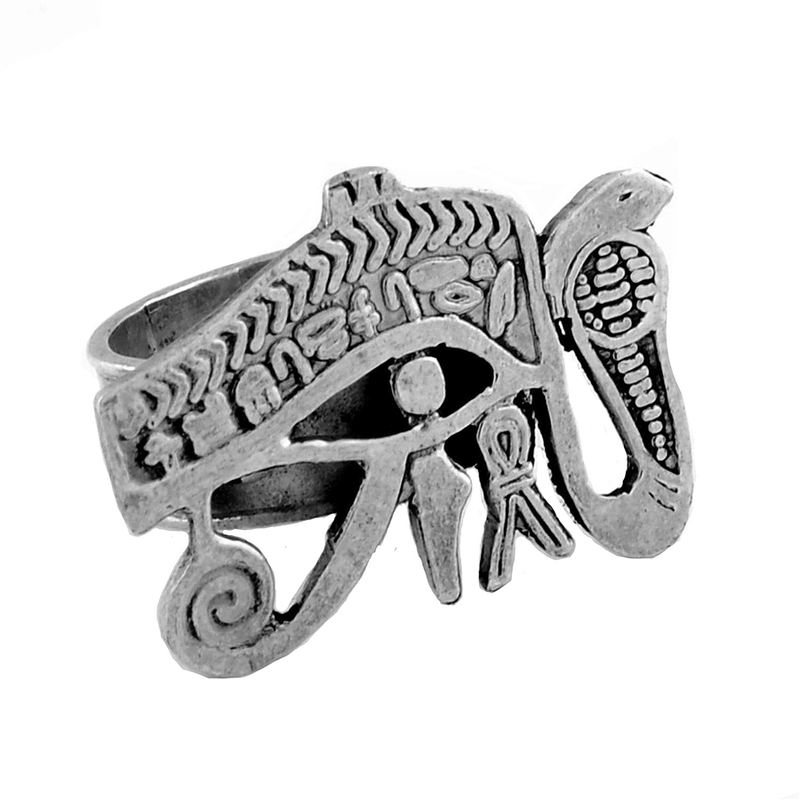 The Eye of Horus symbolism inspired many. It was found under the 12th layer of bandages on Tutankhamun's mummy; Freemasons adopted the symbol; the symbol appears as the Eye of Providence on the recto of the Great Seal of the United States; the Hermatic Order of the Golden Dawn adopted the symbol in rituals and in the Outer Order temple; in Thelema, the magical-religious system devised by Aleister Crowley, Horus is the divinity ruling over the current age of the world.